Aviation industry of Bangladesh is rapidly growing particularly in domestic route ever-since Govt. allowed private companies to operate airline business. Although few companies tried to operate the airline business, only a few are able to succeed in a very competitive market. The demand for legal services in aviation matters is increasing due to the increase in the volume of transaction in recent years. Airlines, machinery and equipment suppliers, service providers, passengers often look for legal services. For example, cargo-related claim, boarding & baggage claim, recovery of dues, recovery of machinery and equipment, crew’s salary and benefits etc. are now not very uncommon for lawyers in Bangladesh. Presently there are local four/five aviation companies. They are providing domestic services in six destinations. Two Airlines, Who used to operate, has issues with outstanding dues payable to airport authorities. Recent air crash incident in Nepal brought in new types of claims e.g. indemnity under insurance for causalities & other losses. 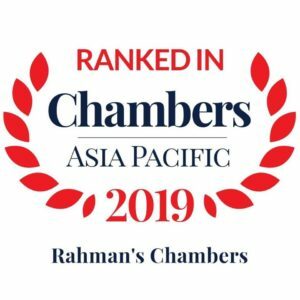 Rahman’s Chambers has been ranked for “Corporate and Finance” and “Shipping”. – Chambers & Partners, 2019. 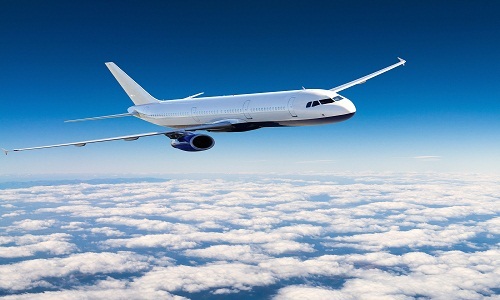 Chambers offers a strong blend of legal acumen and industry knowledge in the Aviation sector. Our aviation practice began with filing recovery litigation for service-related dues for a five-star hotel against GMG Airlines in 2008, which is no more in operation now. Aviation laws usually entertain all legal issue concerning aircraft and airport operations, including aircraft navigation and maintenance, air traffic control, safety, and licensing requirements. The area of law is complex and requires expertise to handle. In 2018 we have successfully filed a Winding-Up petition ( final hearing pending) against United Airways (BD) Ltd for Vector Aerospace Engine Services, a Canadian engine manufacturer & supplier for recovery of dues arising from the lease of an engine. The case involved several complexities, for example, outstanding dues of the Civil Aviation Authority Bangladesh (CAAB) for Airport charges. Besides, Several regulatory interferences by the Security Exchange Commission. Dhaka stock exchange (DSE) and Chittagong stock exchange (CSE) index although & ‘Z’ Categorization by the clients claim relates to return of Aircraft engine and payment of a rental charge. We handled litigation against GMG Airline Ltd, for recovery of service due. Sheraton Dhaka had outstanding against dues for staying at hotel catering services and uses of an airport lounge. We advised cargo operator Mid Asia Airlines Ltd, on setting up business. We advised an US-based foreign equipment supplier on several legal issues against Bangladesh Biman. We have advised individual passenger over disputes involving loss and damages arising from unlawful boarding refusal. Aviation Ownership & Lease Agreements. Personal Injury and Wrongful Deaths. Carriage of Goods by air. Aviation supplies and Repair agreements. Aviation recovery and other Litigation.